The Laboratory has been carrying out research on the lexicography related to the ancient world for quite a long time. The collection and analysis in a lexicon of Greek entries related to economic activities has been started in recent years, under the direction of Carmine Ampolo and the scientific coordination of Donatella Erdas and Anna Magnetto. All entries, particularly the financial ones and those related to the exchange and circulation of goods, have been identified thanks to a systematic examination of literary and documentary sources. The entries are organized in single entries or in homogeneous semantic groups and they include, when possible, the Mycenaean lexicon. The thematic areas used to identify the entries include the terms related to gifts, rewards, slavery, the sphere of oikos, land and breeding, the language of finance, trade and market, taxes and fees, rates, prices and so on. The draft of the entries has been made in cooperation with many Italian and foreign experts in the field of ancient economy. Besides the creation of the lexicon, seminars are also organized on the subject. The Portal of Ancient Writing Systems in the Mediterranean. Software for consulting TLG, PHI #5.3 and PHI #7. These exercises are intended for students who are going to undertake the Greek and Latin admission test. Online edition of Greek inscriptions of economic subject. 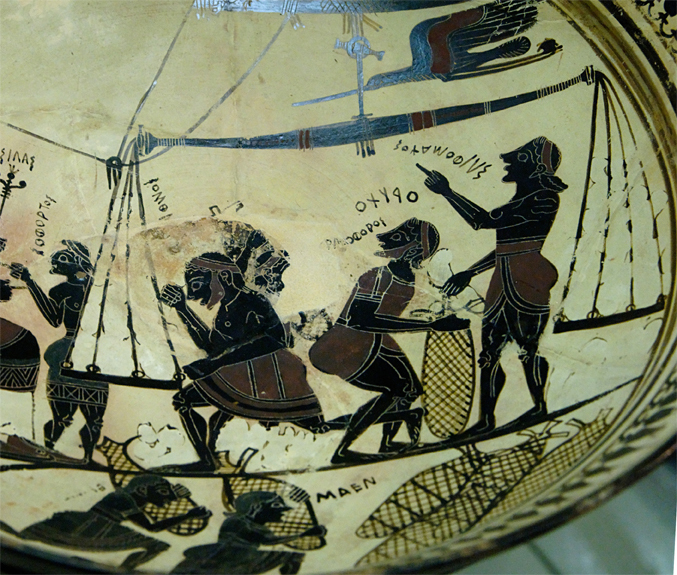 Entries related to economic and finantial activities in the Greek world. A lexicon of ancient Greek and Latin historiography.